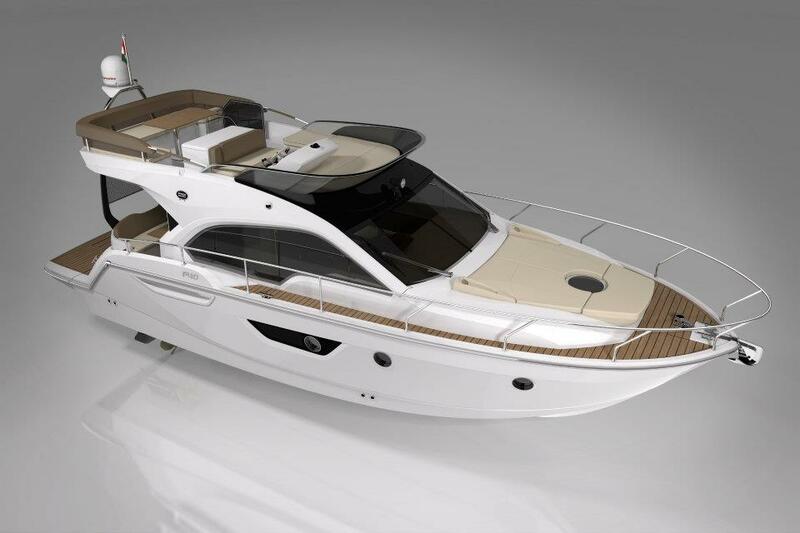 The new Sessa Marine Flybridge 40 is the most spacious fly in its category, packed with new technology that provides comfort and a quality finish. 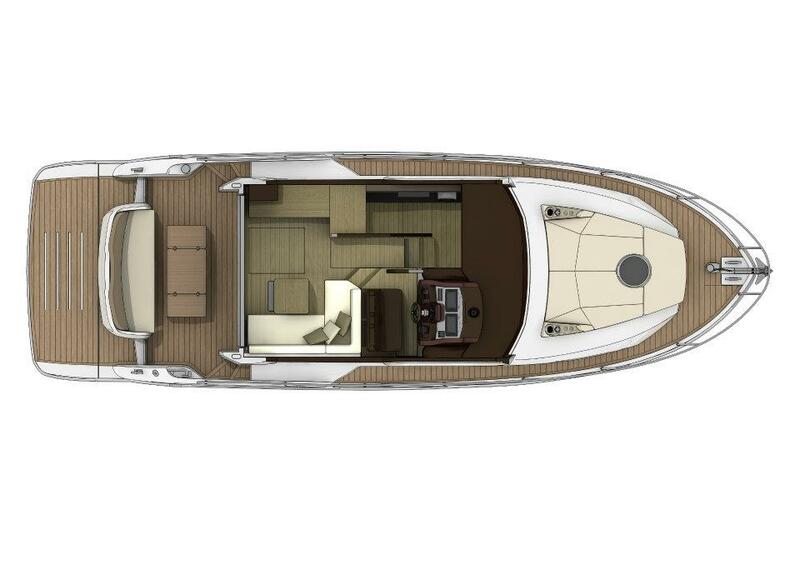 This 40 foot Fly has been designed for clients who navigate all year round with the family and are looking for comfort, safety and high quality features on a limited budget,” announces Riccardo Radice talking about the FLY40, the direct descendent of the FLY45 presented last September at the Cannes Boat Show. With 7 models already designed using IPS technology, Sessa Marine are convinced of its now recognised qualities and again uses it for the Fly40: reduced carbon emissions, reduced consumption, 50% drop in perceived noise level, exceptional manoeuvrability and safety. 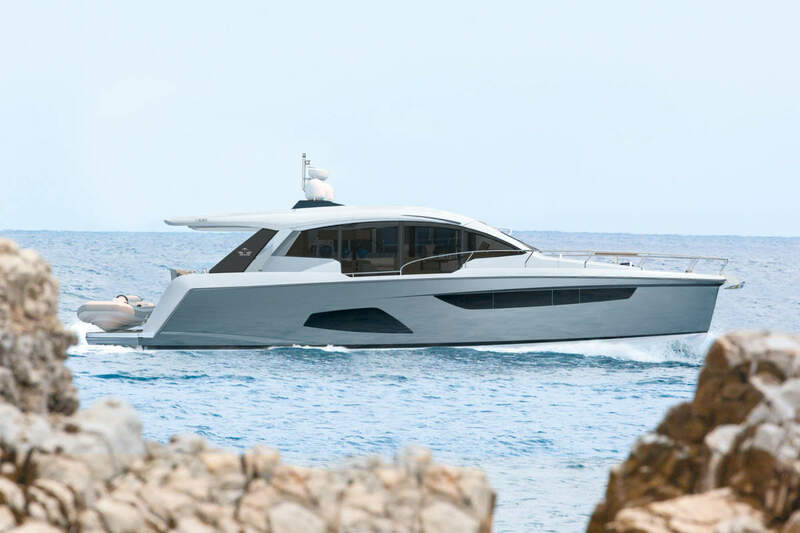 The Fly 40 project has been developed around the new IPS 400 engine : powered by the 3,7 litre 4 cylinder common rail D4 engine, EVC-managed, turbo, compressor and 300 HP heat exchanger, the Fly40 will reach a maximum speed of around 30 knots and fuel consumption of approximately 801/h at cruise speed (25/26 knots). Over the years Sessa has become an expert in optimising space. 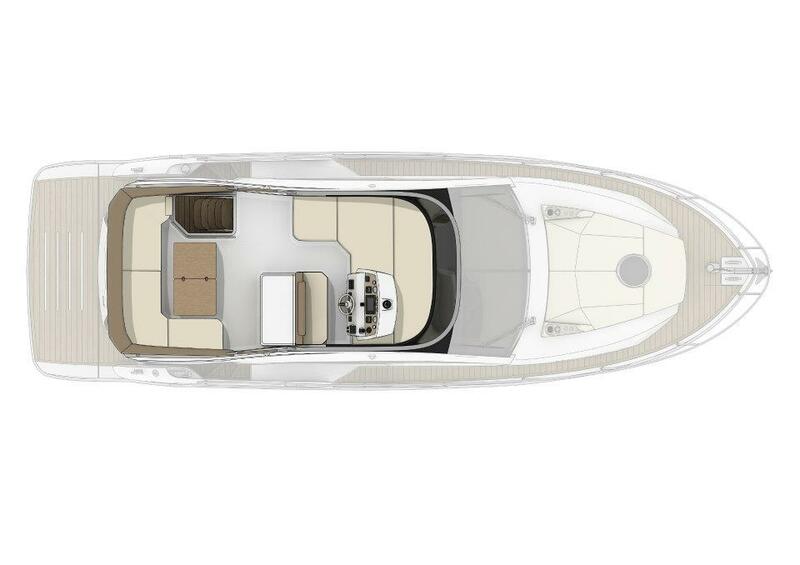 The Fly40 is no exception and boat owners will never feel cramped. 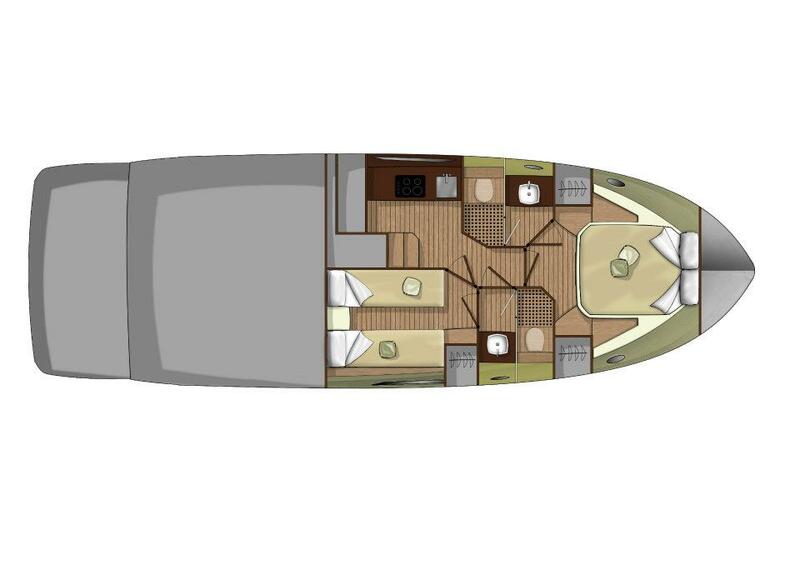 The highlight of the lower deck is the separate bathroom with separate shower, as found on the Fly45, for each of the two cabins. Particular attention has been paid to the dimensions of the doors and cabin height as well as storage. The storage unit under the master cabin bed is larger than the one on the bigger boots of the range and is equipped with a gas piston opening device to make access really easy. The lounge has been intelligently designed to accommodate a convertible double sofa bed: in a few swift moves, the sofa is transformed into a comfortable bed without the bother of an extra mattress to store on the boat. Additionally, a space has been created under the stairs leading to the kitchen for a 6 kg washing machine. Finally, let’s not forget the incredible cockpit which acts as a genuine “veranda” thanks to the innovative “stern window”: a protective awning that can be raised or lowered, giving the impression of an extra “private area”. Among all the amenities available on the Fly45, we can quote the ergonomically designed wheelhouse with double seating that can be electrically adjusted for height and depth. It is equipped with a Sony touch-screen audio and multimedia system for all your on-board entertainment. Lastly, it has all the design solutions held dear by the shipyard and its designer Christian Grande, making every living space more comfortable and providing that special touch of cosiness: a chromatic study for experiencing space in a sensorial and unconscious manner, play on light thanks to the large windows and the presence of mirrors, the choice of materials in line with those found on the larger models of the range… Italian design at its best.